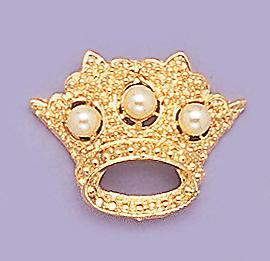 Crown Pin with Pearls in gold tone. Measures approximately 1.25 inches tall. 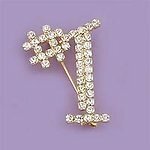 Also available with various color crystals (PA318).